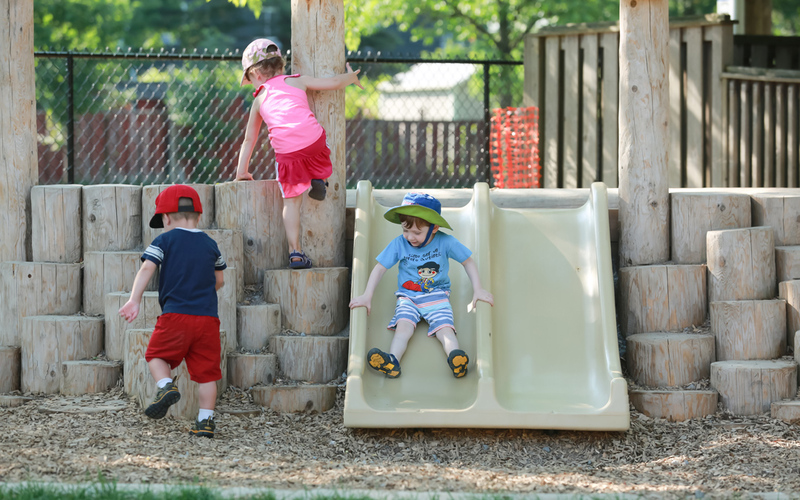 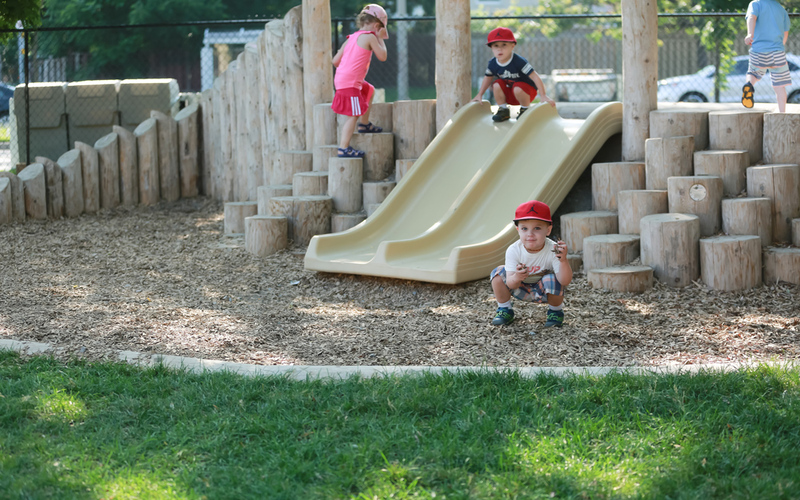 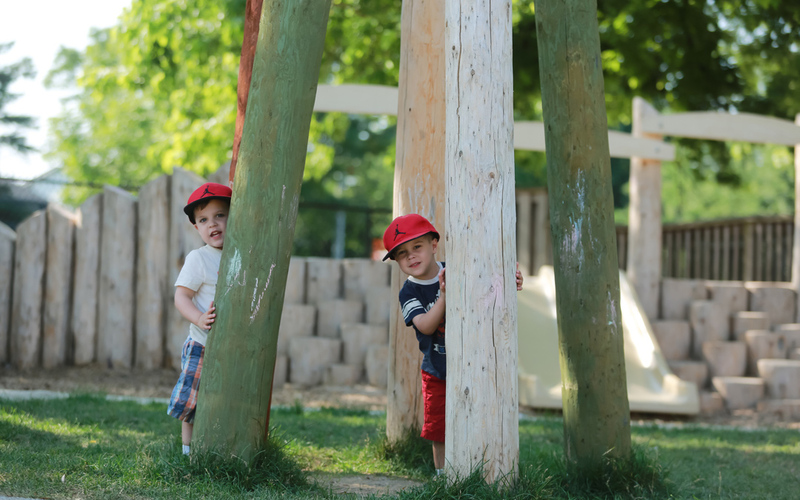 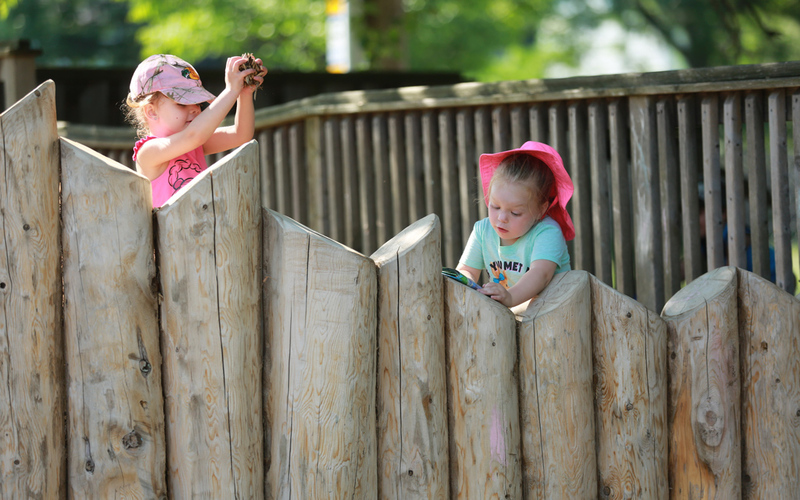 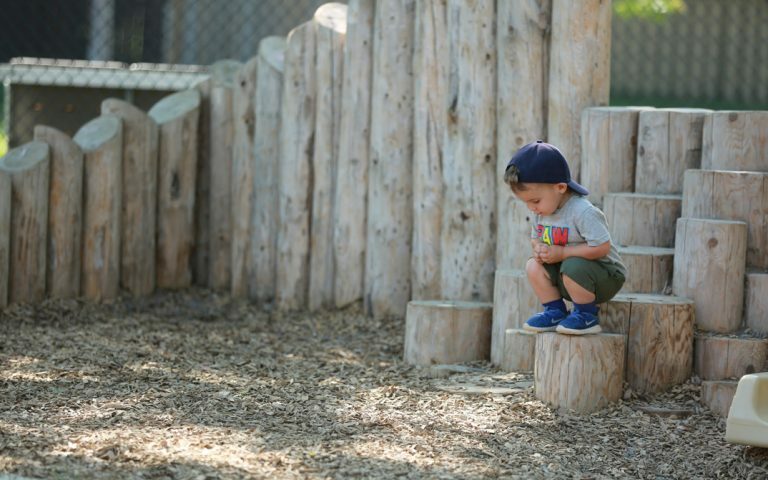 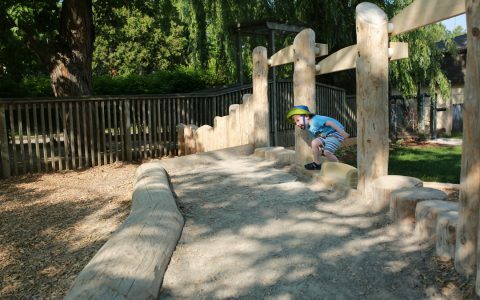 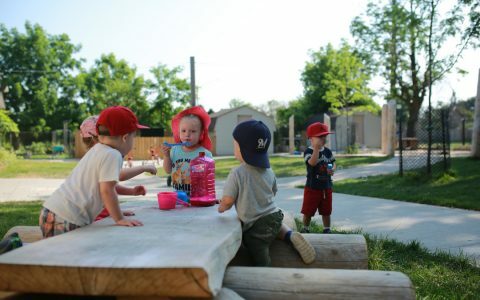 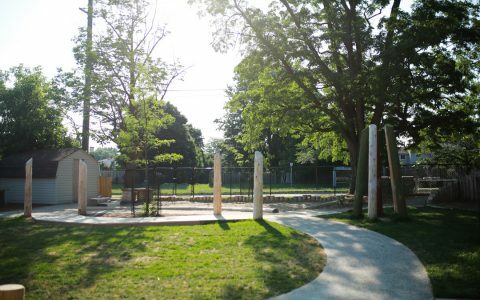 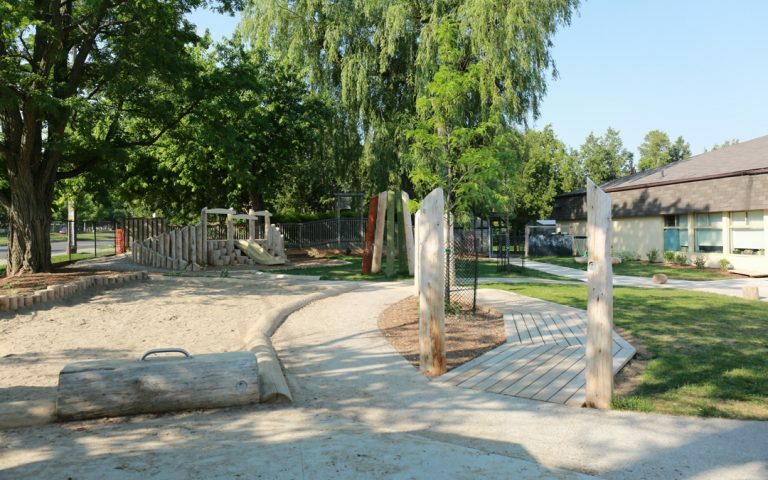 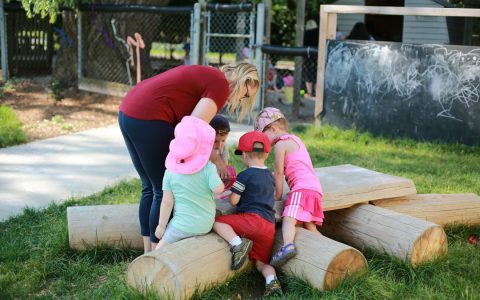 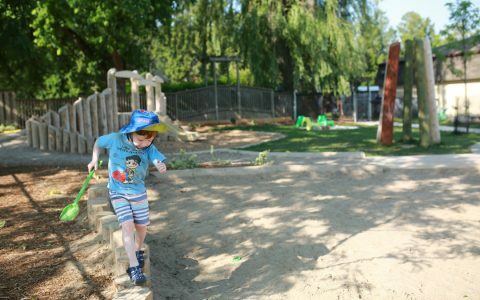 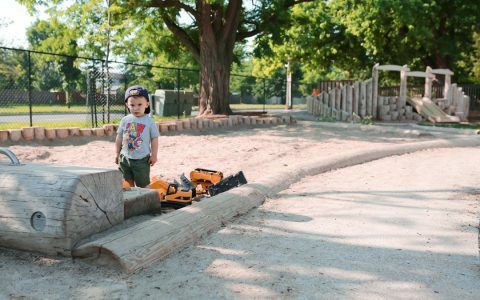 A complete renovation of the outdoor learning and natural playground at the Today’s Family Child Care and Learning Centre’s Greendale site in Hamilton has resulted in an inviting, creative and dynamic playscape. 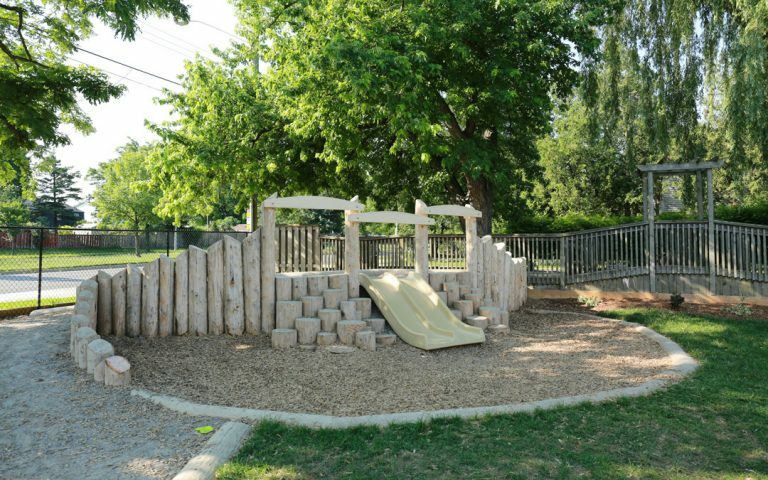 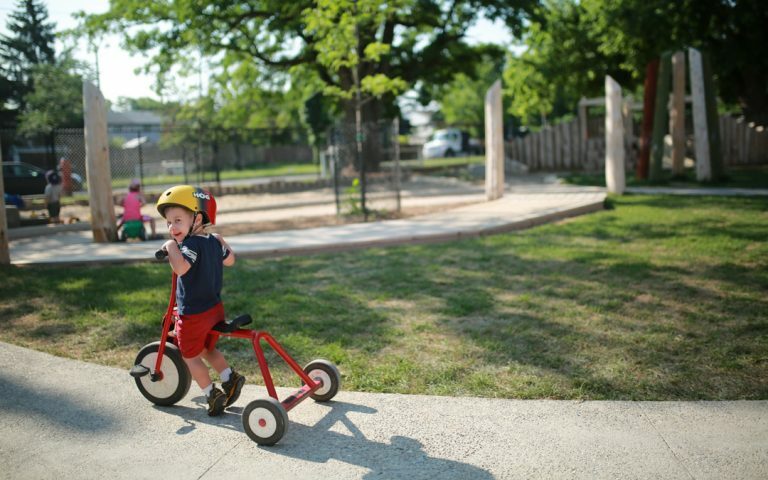 Interactive and overlapping play zones feature a wide variety of surface materials to maximize sensory experiences. 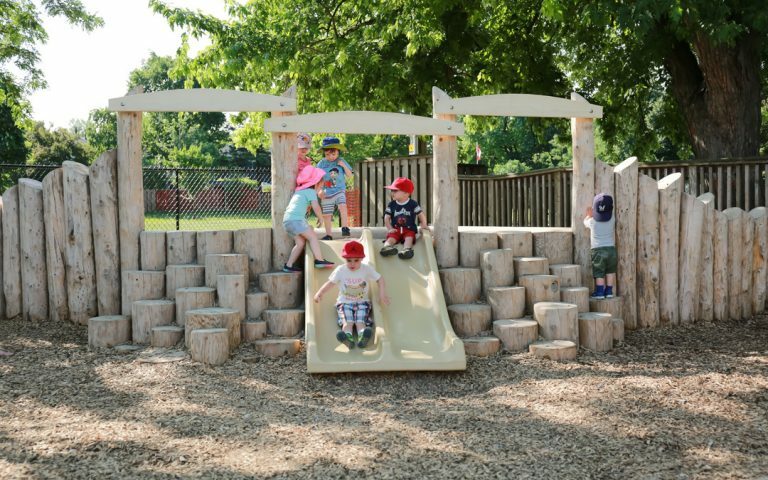 This centre is fortunate to have a large outdoor play zone and mature trees that provide wonderful shade to the playground. The centre of the space features a trike track loop of exposed aggregate that includes enough grade change to challenge new tricyclists. 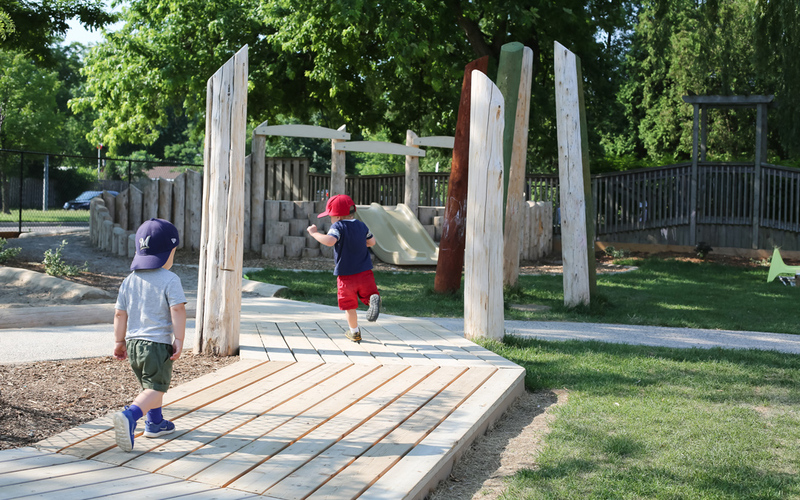 A wood boardwalk deck adds a new route that takes children to an embankment slide that is accessed by timber steppers. The irregular heights of the logs requires concentration and coordination as children navigate new pathways to the top. Several gathering spaces encourage children to interact with one another or a staff member around a discovery table, at the chalkboard or around the live edge table and stump seats. 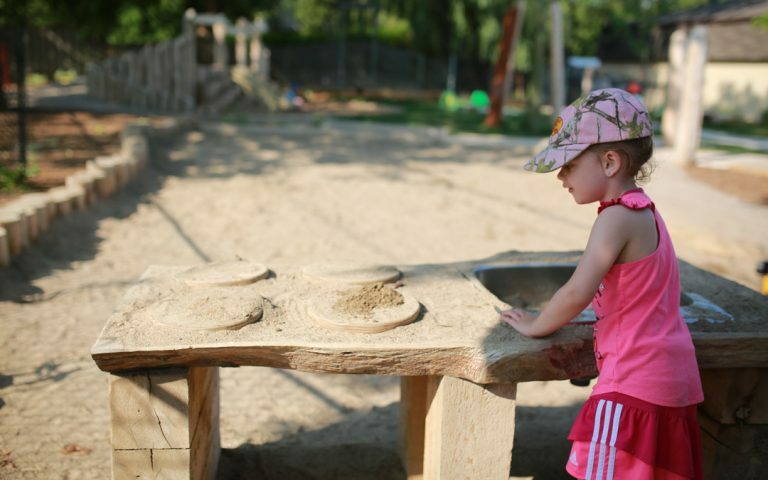 A large sand play area that is accessible via transfer logs includes an outdoor kitchen for culinary creations.